Product Details: Appx. weight 4 oz bar. 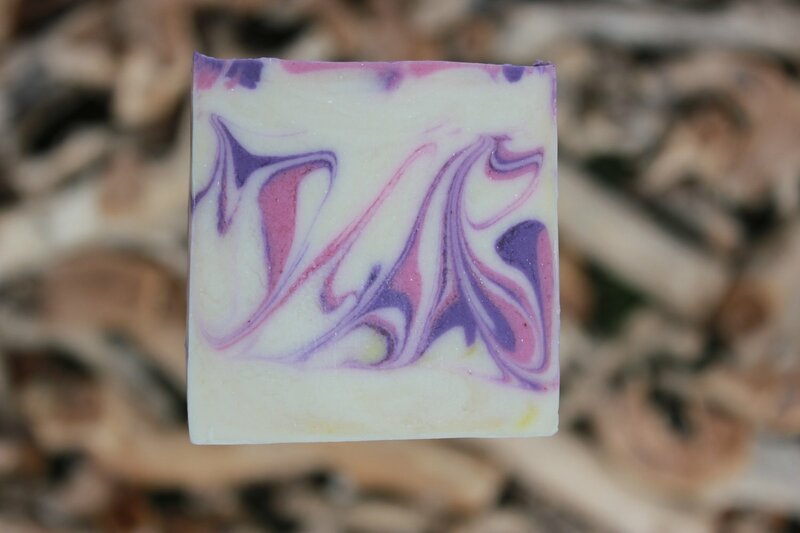 Two scents that go so well together, Lavender and mint! Ingredients: Olive Oil, Water, Coconut Oil, Palm Kernel Oil, Sodium Hydroxide, Avocado Oil, SCanola Oil, Castor Oil, Fragrance Oils, Titanium Dioxide and mica for color.